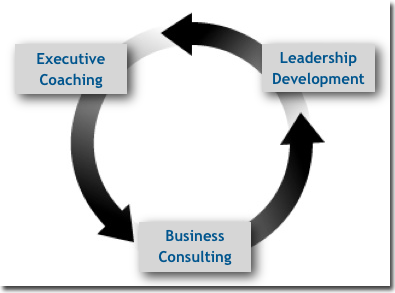 Drawing on years of entrepreneurial and business experience, we can provide valuable consulting and advisory services to you and your team. Who are you? Where are you going? Are your structures and efforts consistent with that? If not, what needs to change? Are your people bought in, or have you simply bought their labor, whether as employees or vendors? Is that sufficient for your strategy? What sets you apart in the moment to moment actions and words between you, your team, your customers and partners? How do you build a culture that reflects values which can sustain those moments? It’s easy to get distracted by day to day operations – in fact, you had better NOT stop paying attention. But basic issues of mission / vision / strategy/ positioning and culture provide the container – the context – for all the day to day actions. CONTEXT is the unexamined king, literally shaping the thoughts and actions that seem available and possible to you and your colleagues. We can help drive the dialog to create working answers and actions that will deliver a consciously created future. Perhaps you need a 3rd party experienced in facilitating group meetings to deal with the above questions, or others. Call us. Is it time for a hard look at your approach to revenue generation and customer engagement? We’ll dig in with you to get at what’s working and what’s not. Sometimes you just need a trusted advisor that is not buffeted by day to day situational pressures. © 2011 The Wide Open Group.